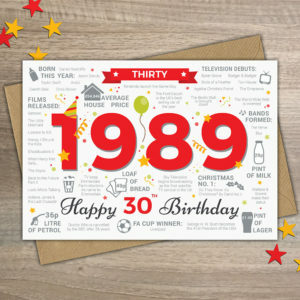 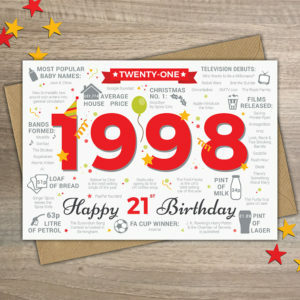 The Year you were born birthday card, suitable for celebrating 60th birthdays in 2019. 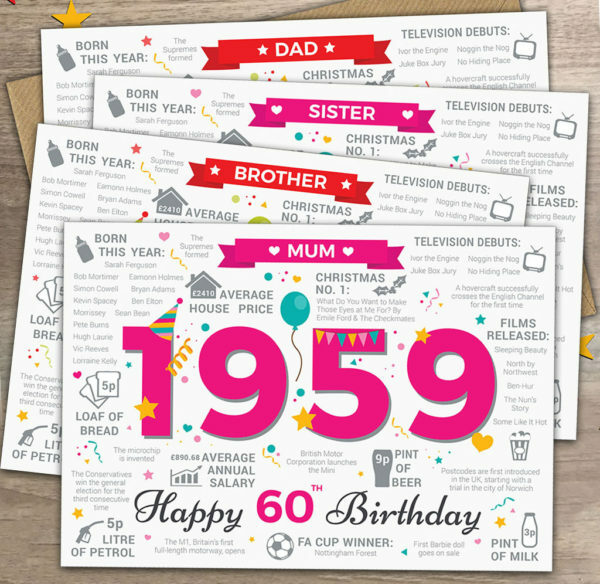 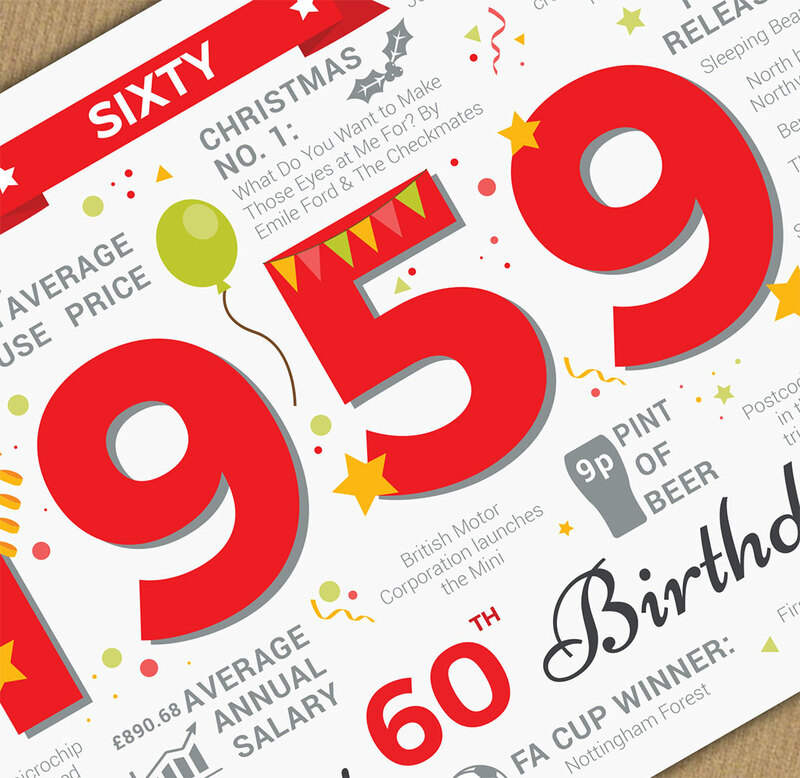 Full of fun and interesting British facts, this card takes a trip back 60 years to look at what was happening in 1959. 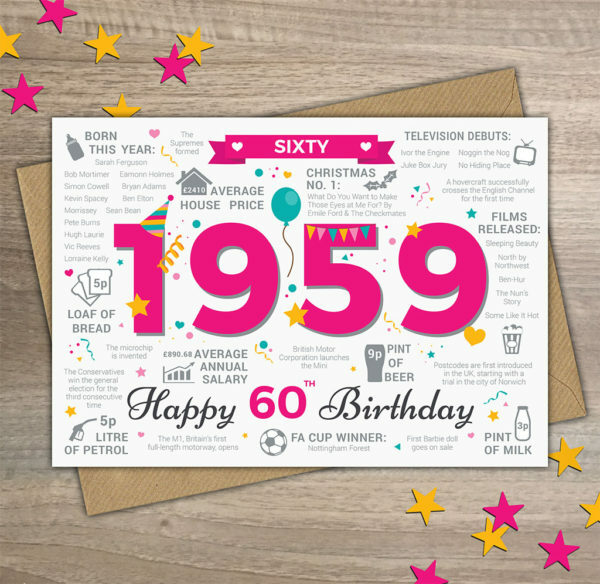 For example, did you know that in 1959… The first Barbie Doll went on sale, a house cost an average of £2410, Bryan Adams was born and Post Codes were introduced!